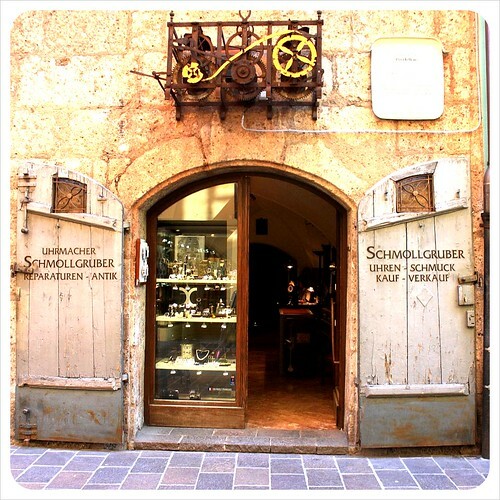 Here’s something you might not know about me: Many many years ago, I lived in Austria for a while. 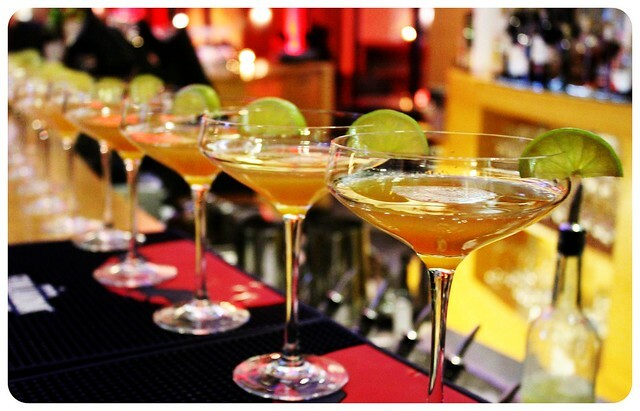 My main reason to move there was a job in the hospitality industry which would pay for Business School later on. I didn’t expect to fall in love with the mountains, but that’s exactly what happened. 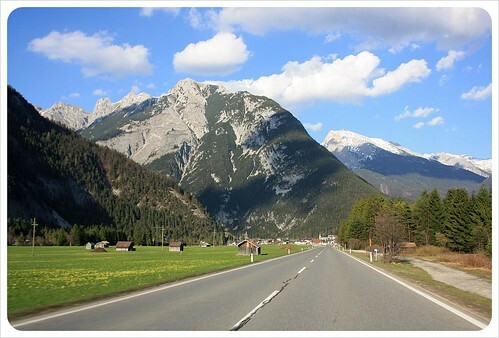 I lived in Tirol, Austria’s third largest province and most popular tourist destination. Why? Think picturesque little mountain towns and rugged peaks, glaciers and waterfalls, a winter wonderland for half of the year, green rolling hills the rest of the year. Dancing in the green fields in the mountains, face towards the sun, a big smile on your face? 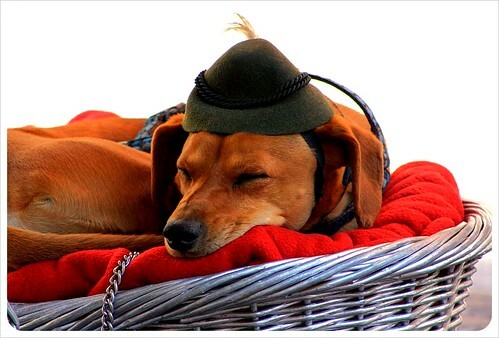 That’s the dream of every The Sound Of Music lover, and believe me, it’s as awesome as it looks in the movie. 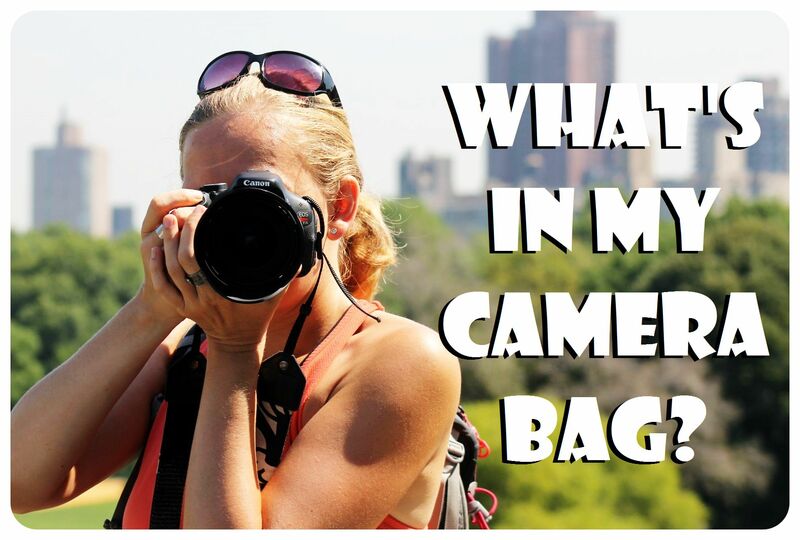 Of course you won’t only dance in the mountains and sing your favorite The Sound Of Music songs, but also hike along one or two or five of the hundreds of hiking paths. 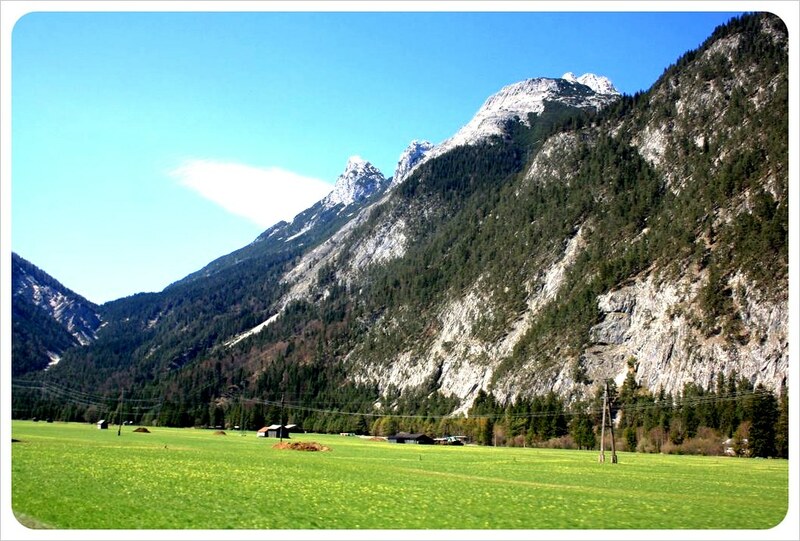 Tirol has nearly 15,000 miles (24,000 km) of marked hiking paths! The hikes don’t cost a thing, and the views are priceless – there’s just nothing like a good mountain hike. 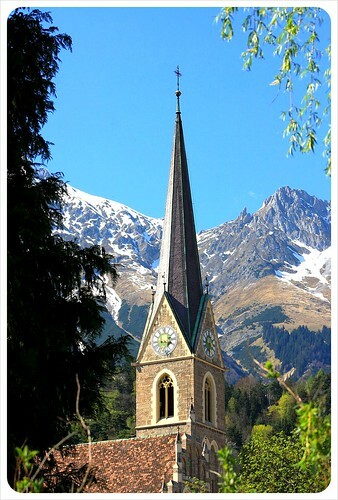 Some of the best hikes in Tirol? 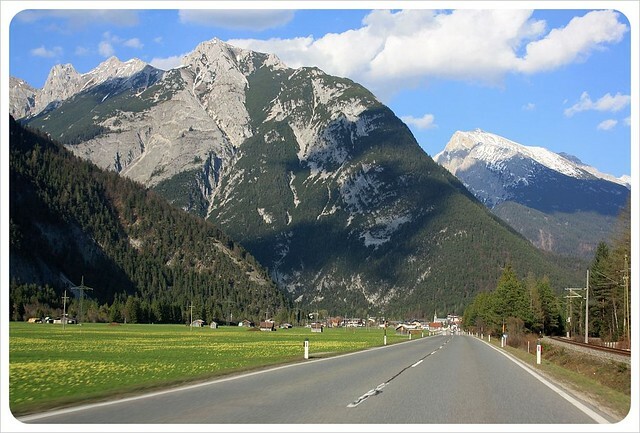 The dramatic Wilder Kaiser mountain, the Seefeld plateau near Innsbruck, the Ziller Valley and the Oetztal Valley, both filled with waterfalls, glaciers, little villages and breathtakingly beautiful mountain vistas. 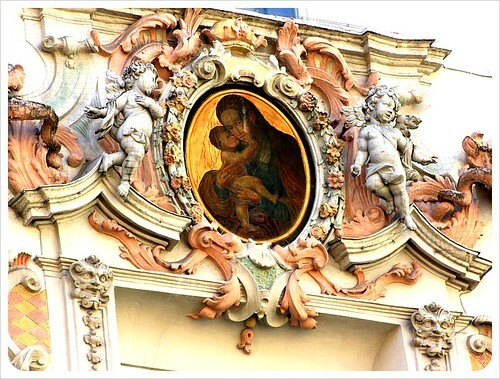 There are dozens of towns and villages in Austria that tick all the boxes of a picture-perfect mountain town: wooden or half-timbered houses with balconies overflowing with colorful flowers, a gorgeous church, a mountain backdrop and enough hiking paths to keep you busy for a month. One of my favorites? Seefeld in Tirol, which is one of the most popular tourist destinations in the region both during the winter and summer months. In the winter, ski and snowboard fans come to enjoy the slopes, and in the summer months, mountain bikers and hikers come to enjoy the many trails, but it is also a great place for families. There’s a series of lakes that you can hike to, there is a castle ruin (Schlossberg) and a stunning pilgrimage church, and there several spas and indoor pools. The mountains around Seefeld are Gschwandtkopf (1,495m), Seefelder Spitze (2,215 m), Härmelekopf (2,224 m) and Reither Spitze (2,374 m) – you can climb a different mountain each day, if you want to! Seefeld also makes a great base if you want to explore other parts of Tirol and is close to city life, with Innsbruck only half an hour away. 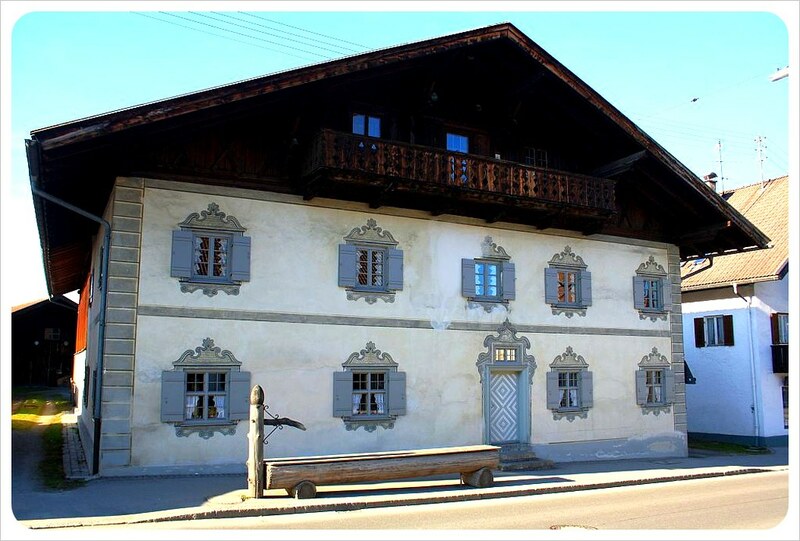 If you decide to base yourself in Seefeld, I recommend checking out Hotel Tyrol-Alpenhof, a gorgeous hotel that takes pride in its local heritage and is built in typical Tirol-style with wooden balconies and offers local specialties in its restaurant. The hotel also has an indoor pool and a sauna and is in walking distance from all the restaurants and shops of the village, and of course the trail heads! 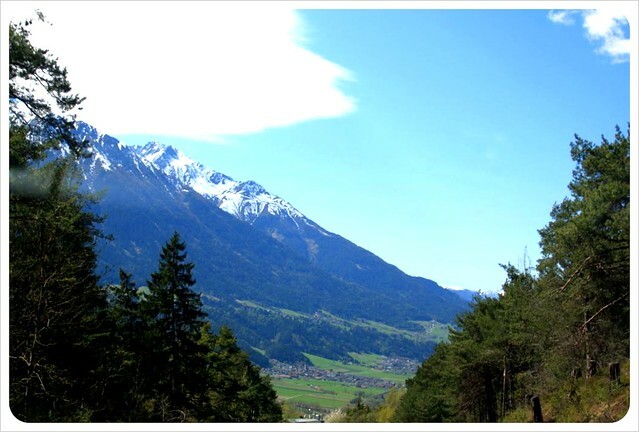 You can find a comprehensive overview of hiking trails around Seefeld here. 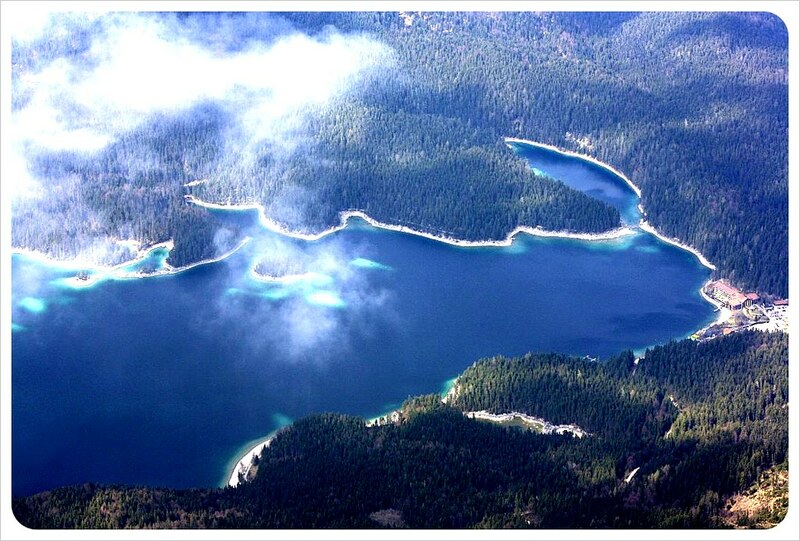 Around Seefeld, there are several lakes which make for incredible swimming experiences during the summer. There’s nothing more refreshing than jumping into the cool waters of a mountain lake after a hike through the valley, with the majestic Alps as a stunning backdrop. Lakes worth a visit: Lake Going, which was voted Tirol’s most beautiful natural swimming lake, the large Lake Achensee, Lake Natterer See, or the stunning Lake Plansee. If you’re as adventurous as I am, you’ll be happy to hear that there are a ton of adventure activities to be enjoyed in Tirol. Mountain biking, rafting and kayaking, ziplining, climbing – there’s something for everyone, and most activities can be enjoyed with kids. The Adventure Park Kaltenbach in the beautiful Ziller Valley for example offers some of the region’s most thrilling experiences: an aerial forest, outdoor climbing – including a waterfall climb – high ropes… if you’re an adrenaline junkie, don’t miss this park! All-inclusive resorts? Not for me. Sure, I love me some beach time, but after a few days, I get bored. I prefer being active, and I learn loving about local culture. An all-inclusive at a beach in Mexico does nothing for me. Climbing pyramids, however? That gives me the chance to exercise and to learn about the rich history and culture of a country at the same time. And that’s why I love the Culture Hiking Trails in Austria. There is a trail between the two small towns of Reith and Leithen, for example, on which you pass historical monuments and learn about history and culture while enjoying a walk through beautiful scenery. Or check out the Leutasch Spirit Gorge Trail, which is home to all kinds of secrets and mysteries involving dwarfs, ghosts and gremlins. Local folklore is a big part of every country, and when you can learn about it while marveling at waterfalls, bizarre rock formations and breathtaking views over a gorge? Priceless! Tirol is known for its many spa and wellness facilities, and there’s nothing more relaxing than enjoying a steam room, a massage, soaking in a whirlpool or a swimming in a pool after a day of hiking. Nearly every hotel has a wellness area, so you don’t even have to go far, but most towns also have public spas with larger pools. Seefeld for example has two indoor and four outdoor pools! 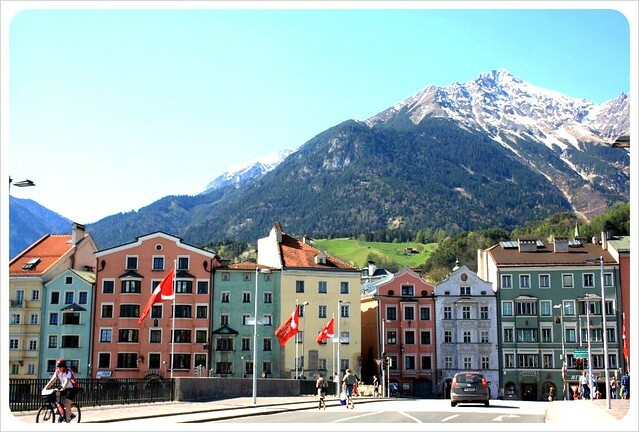 Nestled in a valley halfway between southern Germany and Northern Italy, the Austrian city of Innsbruck combines the rustic flair of the Alps with the Italian dolce vita lifestyle. This spring, we hopped down from Munich in under two hours, white-knuckling the steering wheel as we wound up, around and through the 3,000m snow-covered peaks of the Alps, and past cows and sheep grazing on the greenest grass we’ve ever seen in the fertile valleys below. On a visit to Innsbruck, the journey is truly as breathtaking as the destination. 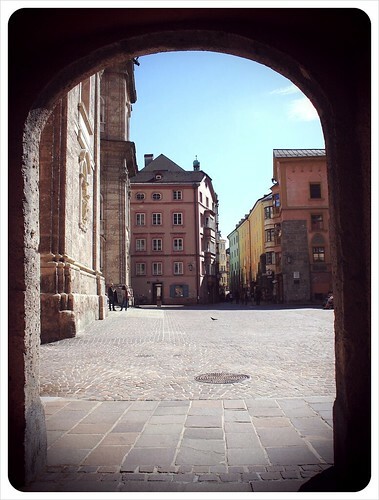 Although initially Innsbruck might seem like a quiet little town with its 120,000 inhabitants, the city tucks a lot of nightlife into that sleepy facade. 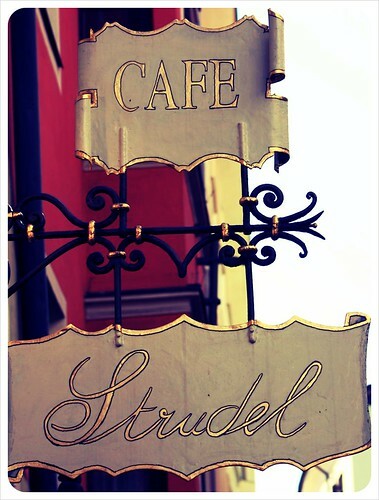 Just under one quarter of the population is students thanks to two large universities, meaning Innsbruck is teeming with enough Austrian cafes, old fashioned pubs plus trendy bars and clubs to rival more populated European cities. On sunny days, it seems that the entire town heads outside to spend time under the big blue mountain sky. 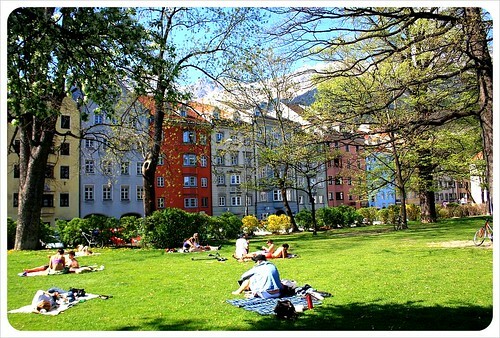 Parks, such as the lovely Hofgarten (Imperial Court Park) are filled with picnicking couples, outdoor seating at cafes and restaurants is completely packed and the pedestrian-only Maria Theresien Street, in the middle of the city’s shopping mile, is spilling over with people sampling the local Stiegl beer or the popular ‘Spritz’, a drink which looks like orange wine from afar, but is actually a mix of Aperol orange liquor and white sparkling wine. 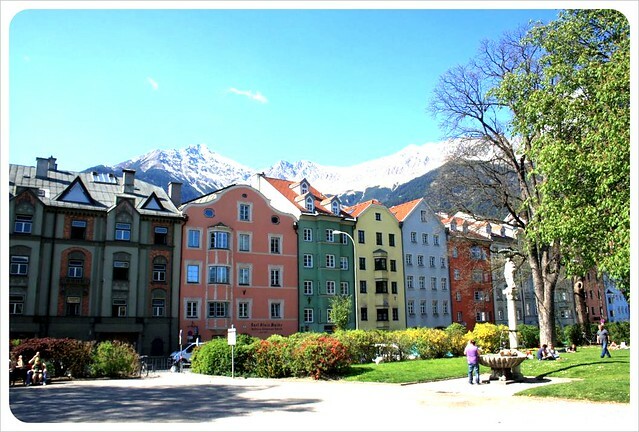 Although surrounded by imposing Alpine peaks, downtown Innsbruck itself is very bicycle-friendly, with residents preferring to cycle around town rather than taking their cars from the short distance from A to B. Rent a bike and gulp down buckets of fresh mountain air riding for miles on the flat path along the river ‘Inn’, which slices right through town, and after which the city is named. 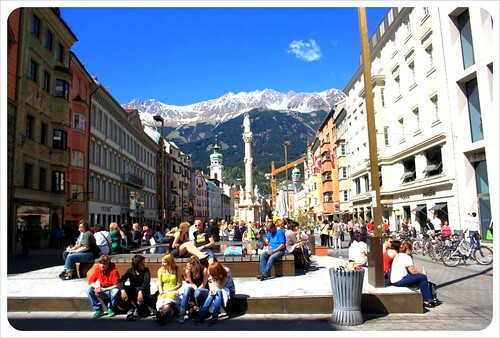 Innsbruck literally means ‘bridge over the Inn’, with the name of the river, Inn, and ‘Bruck’ coming from the German word Brücke meaning ‘bridge’. The city’s compact size makes it easy to explore on foot. 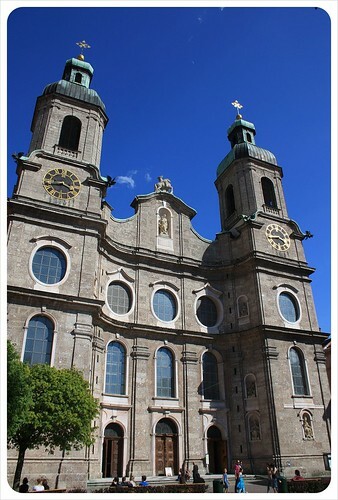 The impressive dome of the baroque St Jacob Cathedral, which can be seen from a good distance, is the center of the Old Town, and leads to a truly magnificent interior, definitely worth a visit. Another baroque highlight is the Hofburg, Innsbruck’s Imperial Palace, which features a great collection of portraits of the Emperor Habsburg and his family. 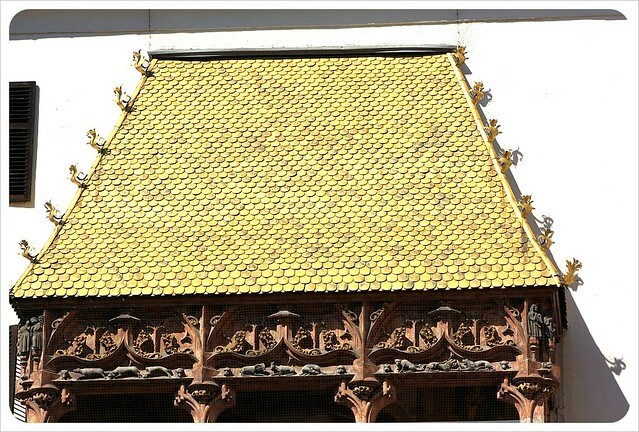 Innsbruck’s biggest tourist attraction is the ‘Golden Roof’, built by Archduke Friedrich IV in the 15th century. 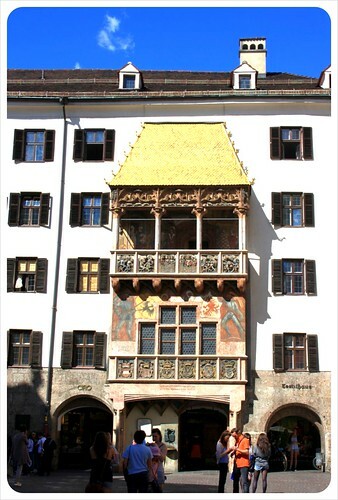 The city-center building was the residence of the rulers of Tyrol, with the 3rd-story balcony capped with 2,738 gold plated copper tiles for Emperor Maximilian I to serve as a luxury royal box where he could enjoy tournaments in the square below. The roof is impressive, but equally exciting is aimlessly walking through narrow medieval alleys, discovering beautifully-painted buildings decorated with opulent frescoes and housing dozens of independent shops, such as typical Austrian bakeries, art galleries, year-round Christmas shops, and shops selling traditional Tyrolean costumes and hats or the famous Mozartkugeln (marzipan rum truffles). 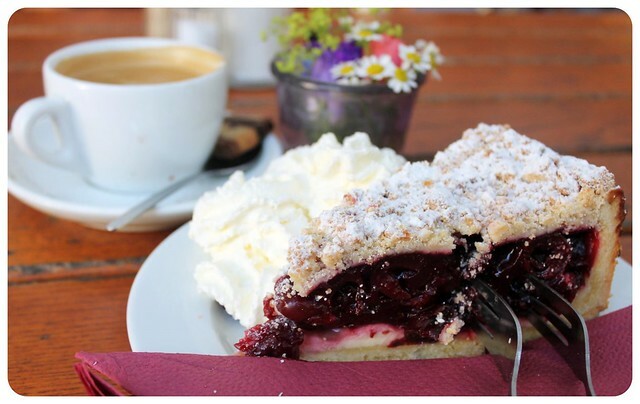 In addition to the must-try Mozartkugeln, make sure to sample plenty of Austrian pastries such as authentic apple strudel or Kaiserschmarrn, which is a sweet pancake, sliced into pieces and covered in powdered sugar and raisins. 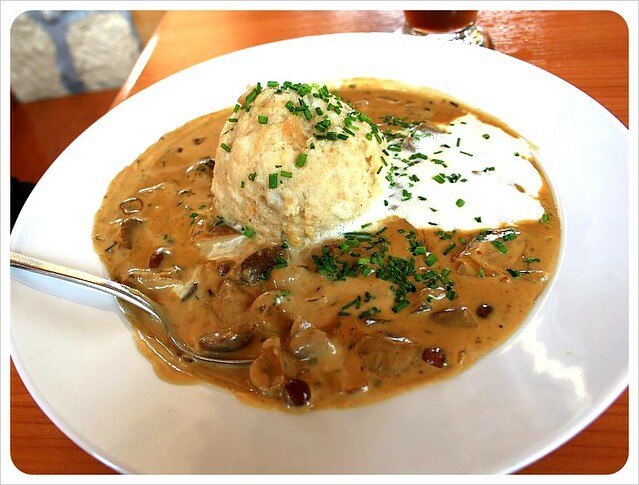 Austria’s proximity to Italy means that in addition to typical Austrian favorites, world-class Italian food (and wine) is readily available, from mouthwatering pasta and pizza eateries to gelato shops with lines of locals around the corner. 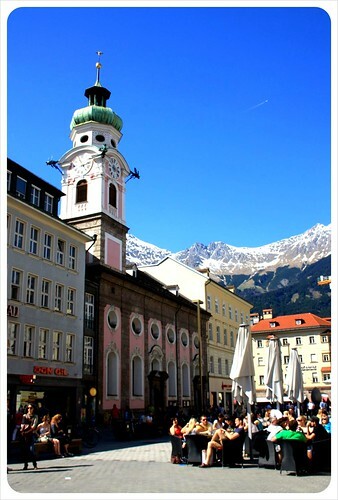 While the historic town makes for a fabulous city escape, Innsbruck is best-known by winter sports enthusiasts as the host of the Winter Olympic Games (twice! ), and home to the sky-tickling Bergisel ski jump, which hosts jump competitions like the famous annual Vierschanzentournee, and is a tourist attraction in its own right. Non-skiers should make the trip to the super-high ski jump, as a trip to the top offers amazing views of the Alps and a birds eye view of downtown Innsbruck below. 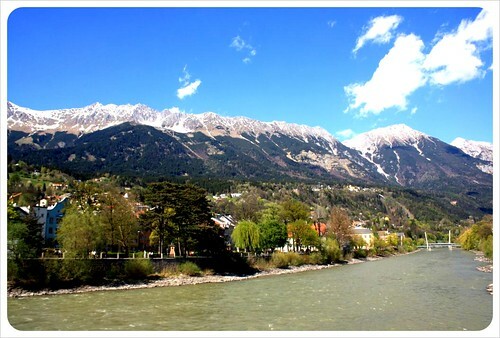 Even in summer, skis and snowboards are strapped to the roofs of cars or under the arms of bike riders either heading up the mountain or just returning from a day on the slopes, as the glaciers surrounding Innsbruck offer year-round snow to winter sports enthusiasts. 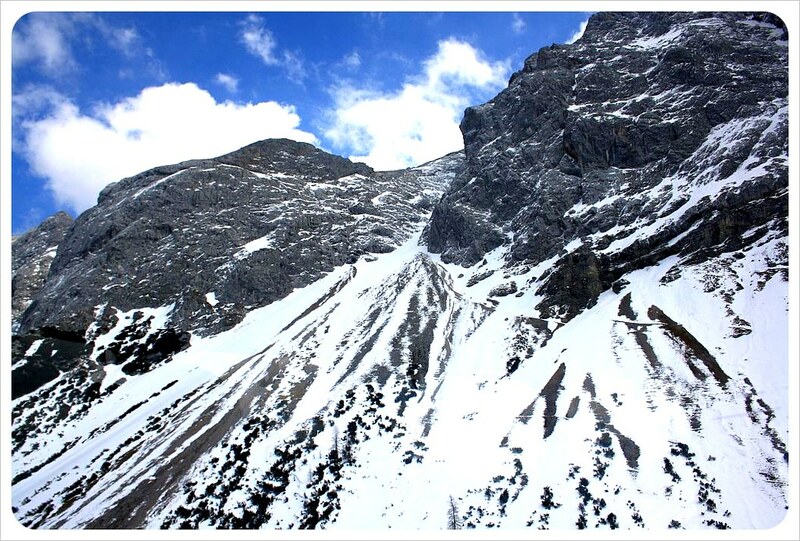 Just outside of Innsbruck, several world-class ski resorts stay open all year. For the skiers and non-skiers alike, dozens of little spa towns dot the Innsbruck countryside, making this area perfect for spa breaks – especially as Austrian spa facilities are some of the best in the world. Nicaragua’s Caribbean: Are the Corn Islands worth a visit? Travel Challenge: Is it possible to visit Tel Aviv on a budget?